Puppy Preschool helps to give puppies the necessary socialisation skills for them to learn to act in a socially acceptable manner. Classes will help teach your puppy to look to you for direction and teach owners how to influence and shape the behaviour of their growing puppy. Through this journey, owners will also receive a basic insight into the fascinating world of dog psychology. What do Puppy Preschool classes provide? 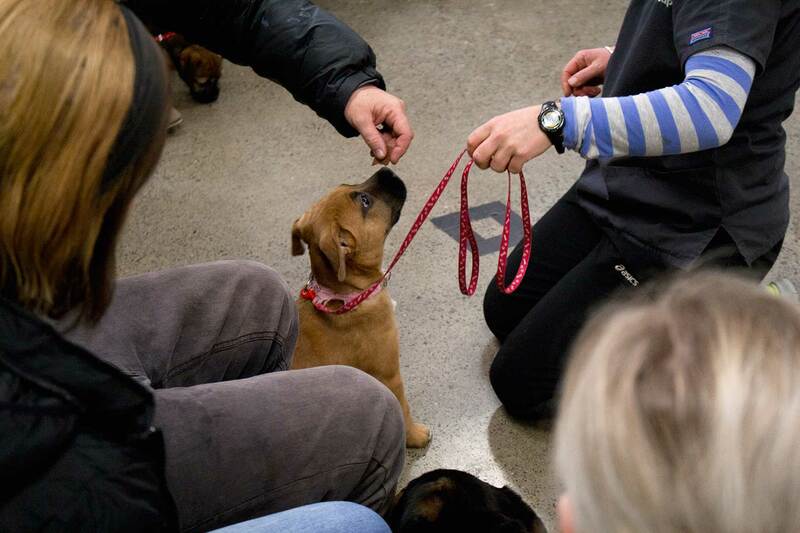 Classes are made up of up to 10 puppies and their owners so your puppy will be exposed to different people and dog breeds within a safe environment, all while not being over-crowded. Puppy play is supervised closely to ensure a fun and positive experience. A wide variety of basic commands are taught using positive reinforcement training techniques. 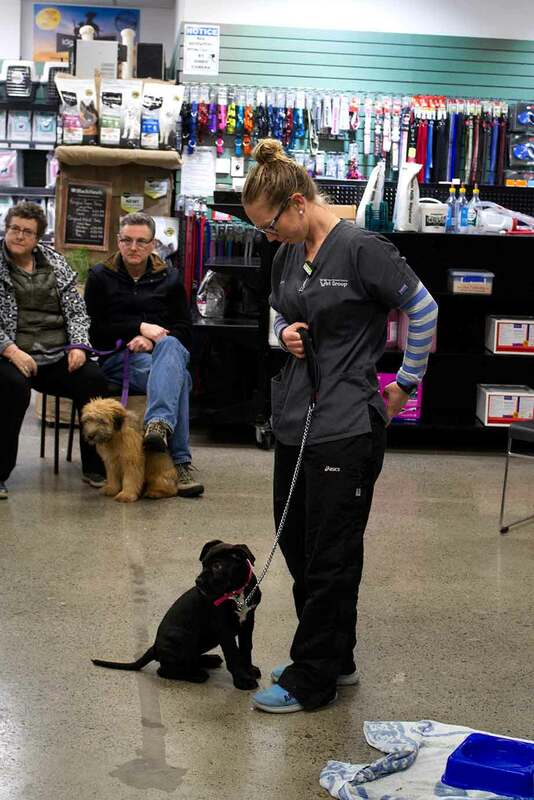 As the classes are so much fun, puppies develop good memories of the vet clinic which makes future visits more enjoyable. You’ll receive comprehensive notes containing information about nutrition, wellness care, toilet training and much more. At the end of the four weeks, your puppy will be presented with a personalised graduation certificate. Ask away – that’s what the classes are for! How old should my puppy be and what do I need to bring with me? Your puppy should be between 8 and 12 weeks old at the beginning of the course and must have had his or her first vaccination. It is during this critical socialisation period that puppies can develop up to 90% of their attitudes towards people, other animals and their environment. Your puppy should wear a collar and be on a lead. Please don’t feed your puppy before the class. Puppies like to sleep after a meal and need to be awake and hungry for the training treats we have on offer! Classes are held at New Plymouth Vet Group on a Tuesday evening, running from 6.30-7.30pm. The course costs $60 for four sessions, each lasting an hour. Please try to make sure you’ll be able to attend all four sessions – this will give your puppy and all the other puppies attending maximum benefit and will make sure everyone stays at the same level. How do I enrol my puppy? Simply give us a call on 06 758 4006 or pop into the clinic to register. Pre-payment is required to secure your place as our classes are very popular. We often have a waiting list and we do have a limit as to how many puppies we can take per class – if you want your puppy to start off on the right paw let us know as soon as possible so we can secure you a spot before we fill up! We find that our puppies just love Puppy Preschool, and are very eager to come back after their first session. Classes give owners a solid foundation upon which to build and many of our graduate puppies go on to perform in obedience and agility classes held locally.